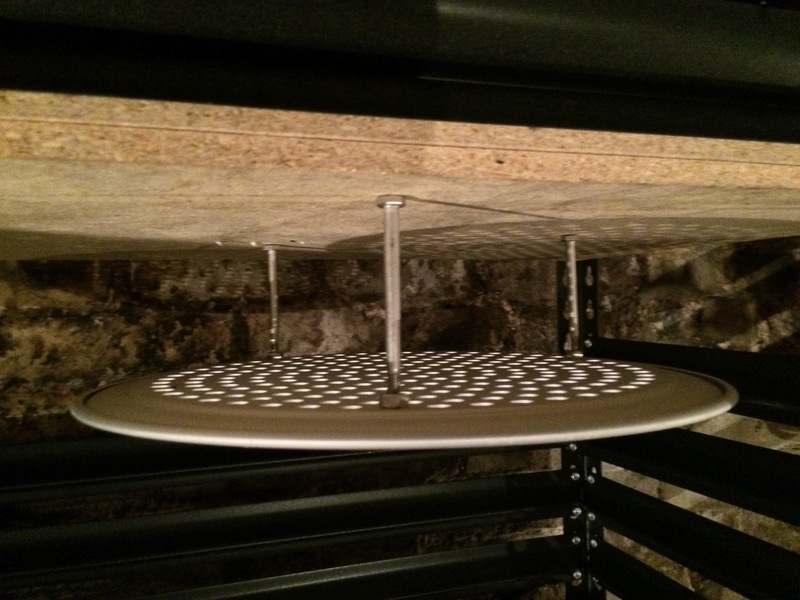 $20 false bottom | Because beer. 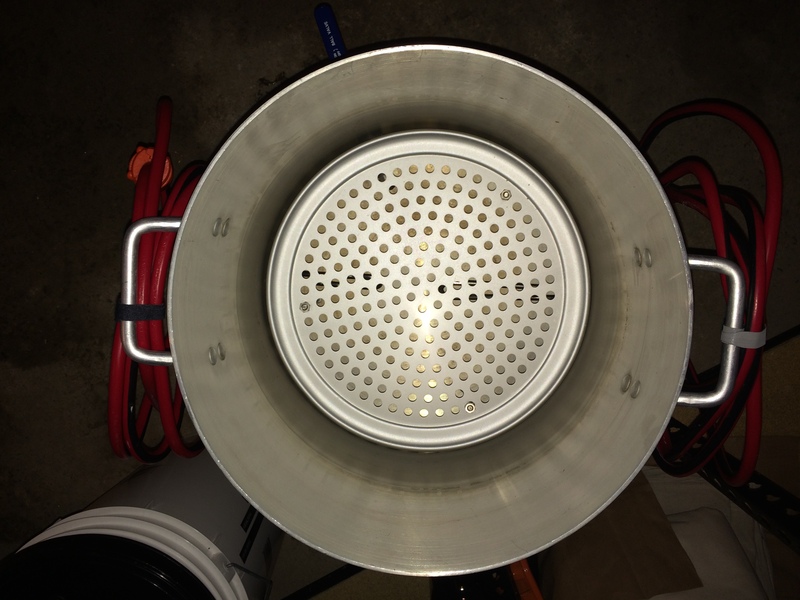 I use the very popular Winco 40qt aluminum kettle as my boil kettle, and I recently made an affordable false bottom. It turns out that this pizza pan is a perfect fit inside of the kettle. Adding 3-4″ stainless steel bolts and 6 nuts for feet completes it! It’s honestly about a 5-minute project. There is about 1/16 of an inch of a gap between the false bottom and the kettle wall. 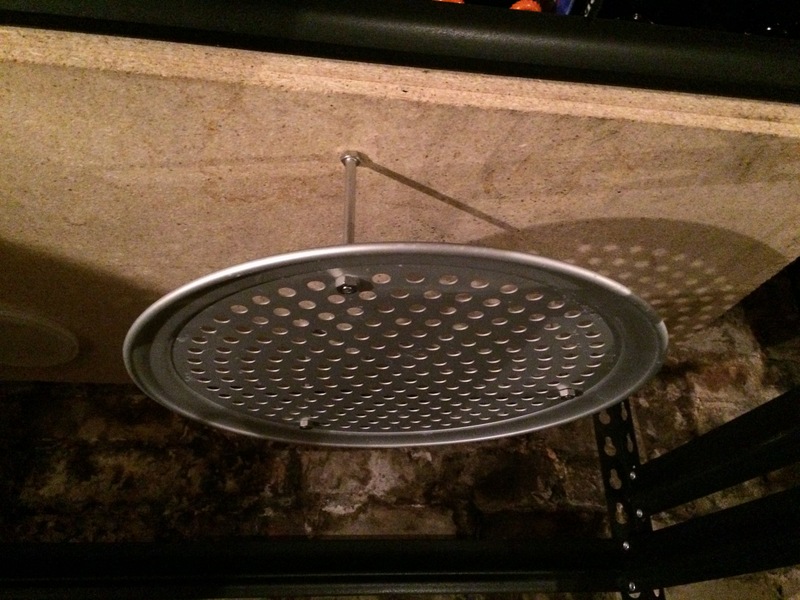 Even if you don’t have my specific pot, looking for a pizza pan can easily provide you with a simple base for a false bottom. After I posted this it was pointed out that I was only looking at this as a false bottom for my personal brewing style – BIAB. This won’t work for people who want to mash solely with this as a filter (i.e mash tun / 3 vessel.) This is designed to keep the bag and grains off of my heating elements and allow me to adjust the mash temp easily mid-mash. I bet that there are actually pizza pans out there that have finer holes, or you could buy one with no holes and drill it yourself.